Cygnet Hospital Taunton provides specialist inpatient services for older adults with mental health problems and for men diagnosed with a learning disability. The hospital also provides an acute inpatient admissions service for men over the age of 18. 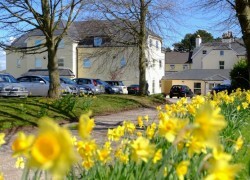 The hospital is situated in a rural setting amongst Taunton farmland, within acres of peaceful fields. This quiet and tranquil environment offers great benefit to our service users who are able to walk in the expansive hospital grounds and take in the countryside scenery. Taunton town centre offers contrast to the quieter country life with market places, shopping malls and many other entertainment areas such as restaurants, theatres and cinemas. 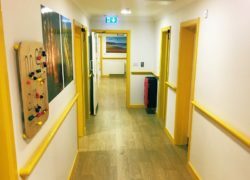 The hospital provides 55 bedrooms across three distinct service lines which offer; acute care for men, acute care and rehabilitation for older adults and learning disability services for men who are over 18. Due to the wide nursing skill mix Taunton is able to cater for service users who have increased physical healthcare needs such as PEG feeding, pain management or catheterisation. The service can also provide palliative and end of life care. At the point of admission the multi-disciplinary team have discharge arrangements in mind and work with the patient and all interested parties to plan for discharge from hospital. The male older adult service are able to provide a transition from acute admissions through to the rehabilitation ward and can change between the services should the patient require it. The ethos of the services ensure that the patients stay in hospital is as short as possible and that furthermore skill loss is limited during their admission. We are excited to be opening three new services throughout June 2018 across Cygnet Health Care. 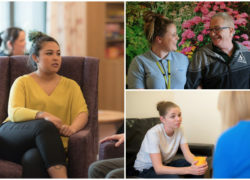 These include a new female PICU at Cygnet Hospital Woking, a new specialist personality disorder service for women at Cygnet Hospital Colchester and a new rehabilitation service for men with a learning disability at Cygnet Hospital Taunton. We are pleased to announce that Cygnet Hospital Taunton will be opening a new rehabilitation service for men with learning disabilities and complex mental health needs. The new service will open on Monday 25th June and is now accepting referrals.